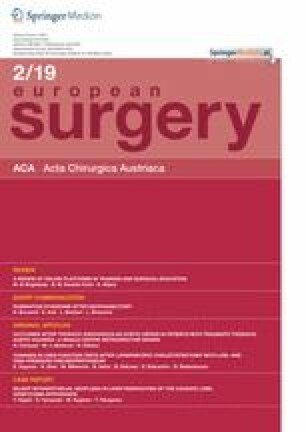 The aim of this study was to compare and evaluate the postoperative outcomes of carotid endarterectomy (CEA) in symptomatic and asymptomatic octogenarians and younger patients in a single institution, if octogenarians are eligible for CEA. A total of 190 patients (149 males, 41 females; mean age 69.59 ± 9.87 years; range 47 to 92 years) who underwent eversion or conventional CEA with patchplasty, under general or local anesthesia, were included in this study. No statistically significant difference was found in terms of postoperative death (p = 1), postoperative stroke (p = 0.592), and postoperative bleeding (p = 0.659), while blood creatinine level was significantly higher in octogenarians. Postoperative stroke and death were seen in none of the octogenarians, although 4 postoperative deaths and 6 major strokes were seen among non-octogenarians. No difference was found in females (octogenarians vs. non-octogenarians) in terms of death (p = 1.00) and stroke (p = 1.00) and no difference was found in males (octogenarians vs. non-octogenarians) in terms of death (p = 1.00) and stroke (p = 1.00). We thought that CEA remains the most efficient treatment modality among symptomatic and asymptomatic octogenarians with severe carotid artery stenosis and no difference was found compared to non-octogenarians. Advanced age should not be considered as a high-risk group and selected octogenarians are good candidates for CEA. S.B. Deşer, M.K. Demirag, F. Kolbakir, S.M. Yucel, M.M. Güçlü, M. Polat, and H.T. Keceligil declare that they have no competing interests.